The massive “Meatball Parm,” is one of the restaurant’s house specialties. It was time for Anthony Gianino to get his own place. Growing up in the restaurant business, toiling away at his family's many properties, he'd seen them named after just about everyone. Bill Gianino's and Billy G's are his dad's namesakes; Frankie Gianino's and Frankie G's are named for his grandfather. Even his longtime friend and business partner Joey Barczewski got his very own brand with the popular Joey B's family of restaurants. Not Anthony. Though he'd been an instrumental part of every restaurant in the Gianino portfolio, he never had one that bore his name — until this past March. That's when he and Barczewski opened the doors to Anthony's Italian Eats, a restaurant, takeout spot and deli that pays homage to the Sunday suppers they used to eat at the home of Gianino's grandmother. The old-country traditions Gianino's grandmother upheld during those weekly dinners animate every corner of Anthony's Italian Eats. And it's not just because her presence is there literally in the form of black-and-white family photographs that decorate the space. 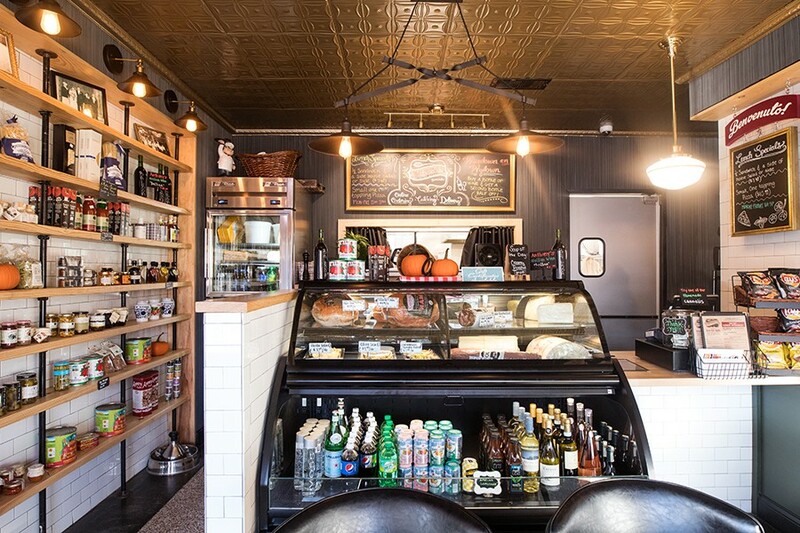 The tiny room, formerly Manhattan Express, has been transformed into a charming restaurant evocative of the combination bodega/cafe you might stumble into on a side street in Rome. It's casual, but elegant touches abound throughout, including an impressive green-and-gold glass chandelier that hangs over the dining space, a gilded tin ceiling and gray textured wallpaper. The moment you walk inside, the place fills you with warmth, both from the soft lighting that dances off the large street-facing windows and the intoxicating smells of garlic and pizza crust wafting out of the kitchen. The restaurant's small, but thoughtful, selection of wine — served in small tumblers rather than stemware, of course — underscores that feeling. You'd want to linger if you didn't feel bad about taking up one of the few tables. Indeed, though the restaurant's high ceiling gives the illusion of space, the dining room can accommodate only about ten people. Additional real estate comes via the Wydown-facing patio. 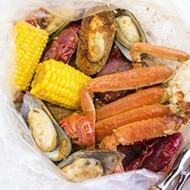 It also has the feel of a grandmother's loving touch; cozy fleece blankets are draped over every chair so customers can enjoy al fresco dining even in chillier temperatures. In addition to the restaurant, Anthony’s Italian Eats functions as a small Italian grocer. 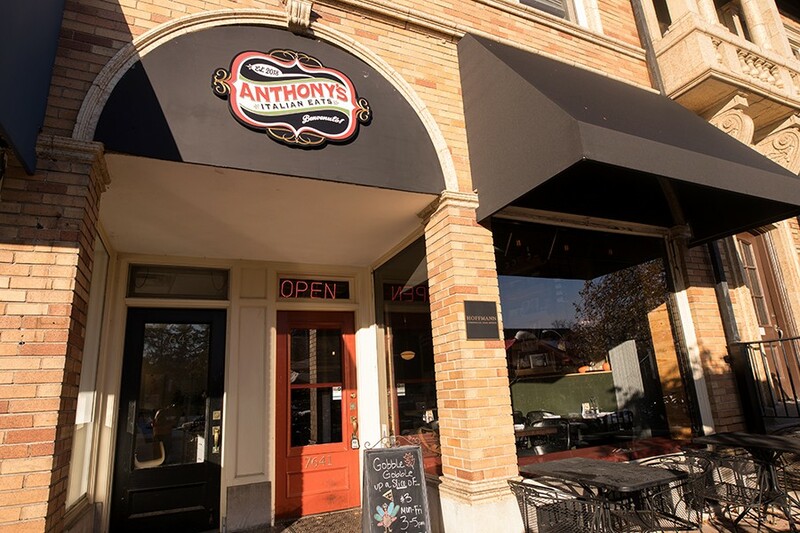 Those blankets may wrap your body in warmth, but the food at Anthony's Italian Eats warms the soul. 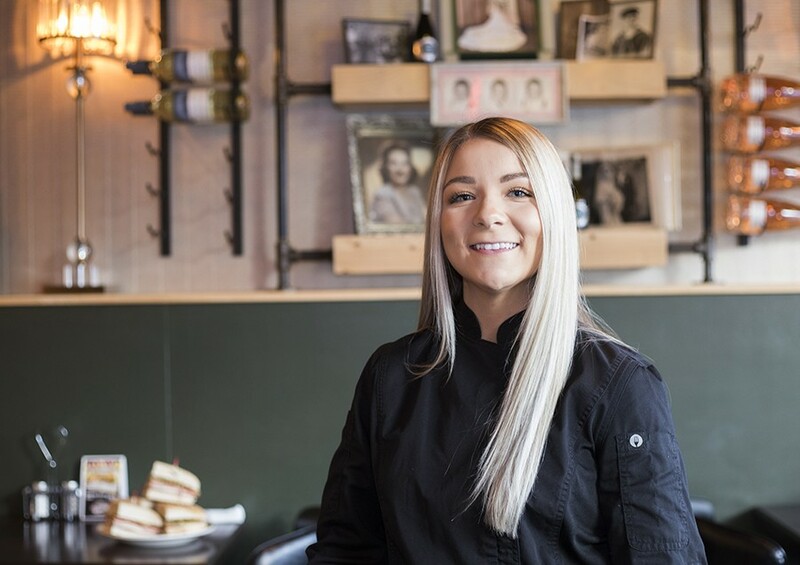 The pizza- and sandwich-focused menu draws heavily upon Gianino's grandmother's recipes, executed by chef and general manager Tessa LaPlant. 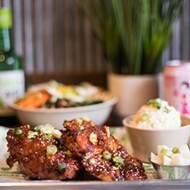 These include best-in-class meatballs, tender rounds of herb and garlic-flecked beef that are as large as mandarin oranges. Sweet, chunky red sauce smothers the meatballs, and luscious dollops of ricotta melt over the top. 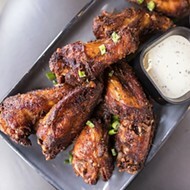 You can order them on their own as an appetizer, or have them stuffed into a nearly foot-long crusty hoagie roll with molten provolone cheese. 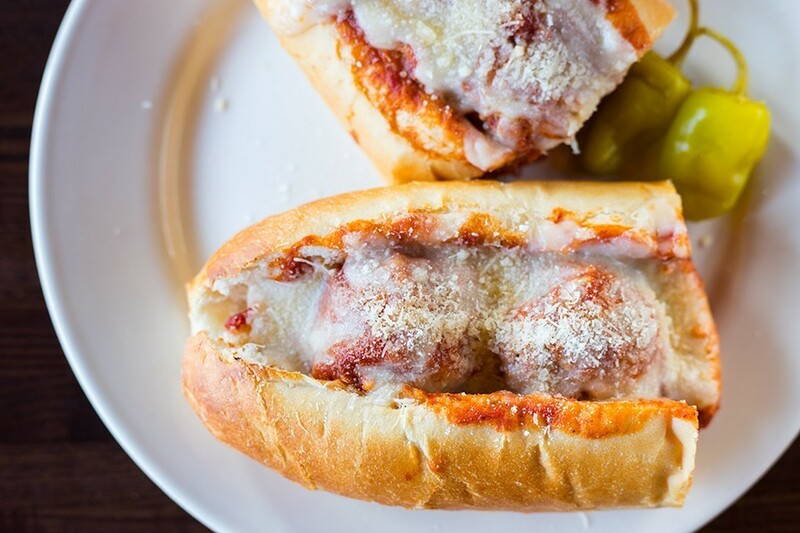 It's the gold standard of meatball Parmesan sandwiches. Anthony's also offers a bruschetta appetizer, which presents balsamic-marinated tomatoes and onions as a topping for thin wafers of crispy bread. Unlike most variations of the dish, here the piquant tomato-onion concoction is served on the side, making for an Italian version of chips and salsa. This prevents the thin crostini from becoming mushy, and has the added bonus of allowing you to pile on as much of the mouthwatering tomatoes and onions as you can fit on the bread — that is, if you're able to resist simply eating it out of the serving bowl with a spoon. The house salad offers the familiar comfort of a St. Louis-style sweet Italian version, but it's done with much more finesse than you might be used to with this form. In place of the ubiquitous iceberg lettuce, Anthony's uses spring mix as the base, then piles on tomatoes, sliced green olives, mushrooms and herb-flecked croutons. The dressing is indeed sweet, but it is balanced with the tartness of vinegar. A sprinkle of Parmigiano Reggiano cheese finishes the plate — a step up from Provel, indeed. If the Parmigiano Reggiano finish is not enough for you, Anthony's serves a variation called the "Tuscan." Here, the additions of artichokes, smoky provolone and luscious slices of Volpi prosciutto turn a simple salad into a worthy meal — especially when paired with a cup of the restaurant's white bean soup. Soups change regularly, so there's no guarantee you'll be treated to this steaming bowl of comfort, but if you see it, order it. Flawlessly cooked white beans bob in a luxurious, ham-infused broth with fresh herbs. One can only hope it will become a permanent addition to the menu. Cannelloni, smothered in sweet red sauce, is a Gianino family recipe. 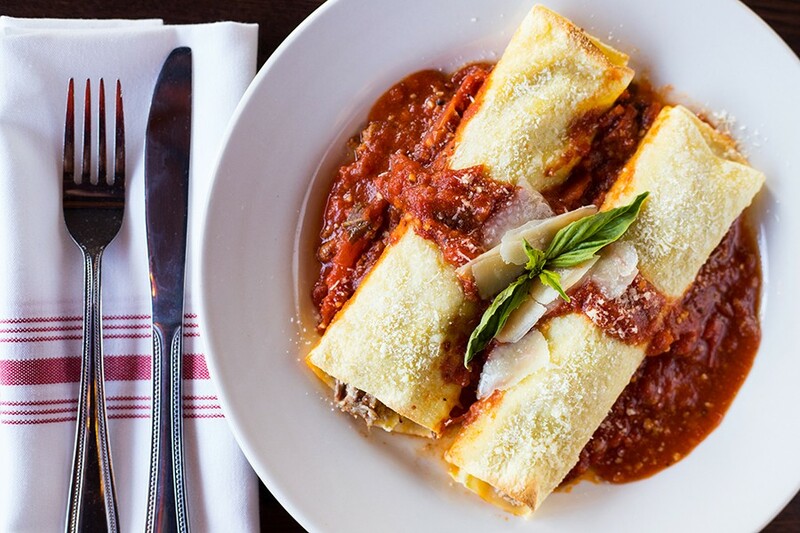 There is just one pasta dish, cannelloni, but you won't want for more after eating these excellent tubes stuffed with braised beef and cheese. Digging in, I could practically picture Gianino and Barczewski devouring one after another in Grandma's kitchen. Who could blame them? The fact that they are sold by the piece may tempt you to do the same. Anthony's Italian Eats considers itself as much a deli as a restaurant — hence the shelves stocked with imported Italian grocery items. Like any good Italian deli, this means a thoughtful sandwich selection with staples including the "Muffuletta Round," a heaping stack of pistachio mortadella, prosciutto, salami, ham, pepperoni, provolone and mozzarella. Spicy Sicilian olive salad cuts through the fatty meat with enough briny heat to make its presence known, but not so much as to set your mouth on fire. A warm bread round studded with sesame seeds wraps its wonderful contents in a soft pillow. That pillow is king-sized; be forewarned that this massive sandwich could feed two, if not three, people. Anyone who tries to take it down on their own should be required to sign a waiver. The "Old Fashion" is Anthony's version of a club sandwich, with ham, turkey, roast beef and cheddar piled atop crusty Italian bread. The condiments are simple — crisp lettuce, sliced tomatoes, pickles, white onion and yellow mustard — but that's exactly what you want on this quintessential deli offering. It's flawless. Even a simple vegetarian caprese sub is hearty at Anthony's Italian Eats. Pleasantly chewy ciabatta bread is brushed with olive oil, then layered several times over with thick slices of fresh mozzarella; both the bread and cheese soak up the juice from heirloom tomatoes and balsamic glaze, infusing every bite with brightness. Fresh basil, sea salt and cracked pepper are all you need to garnish this beautiful sandwich. 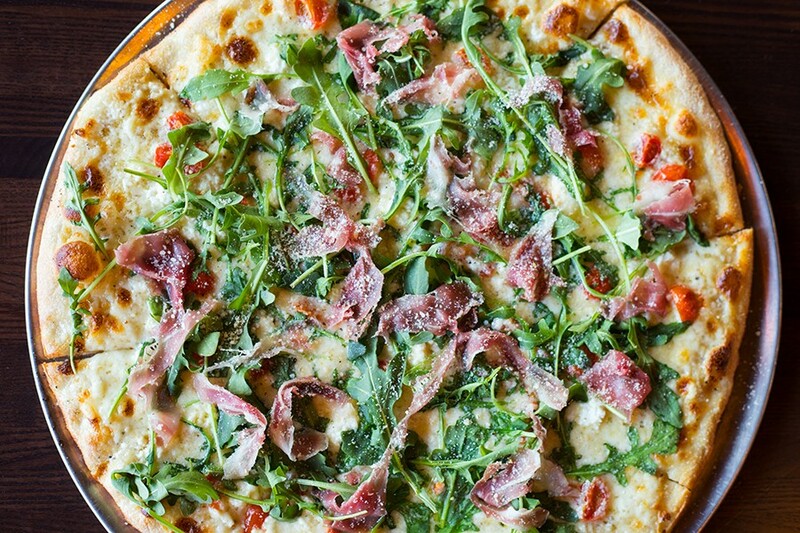 The “Prosciutto and Arugula Bianca” pizza features a rich white sauce topped with prosciutto, arugula, cherry tomatoes, olive oil and shredded fontina cheese. The crust is a pale golden color with a pleasant yeasty zing. Most impressive, it's fairly sturdy, even at the interior, which allows it to hold up to the generous portion of toppings given to most pies here. This is best exemplified by the "Vegetariana," which is covered in a garden's worth of artichokes, mushrooms, cherry tomatoes, olives, green peppers, onions and fresh basil. The pizza is perfectly cooked so that the veggies are searing hot and softened, yet not to the point of losing their crunchy texture. Every last inch of this pie is covered in vegetables, and they are so evenly dispersed, you get a bit of everything in each bite. The margherita is an approximation of the classic Neapolitan dish, not a literal version. This must be emphasized, for if you expect the old-country classic, you will be disappointed. However, if you surrender to the restaurant's new-world version, you will delight in the simplicity of a yeasty crust, brushed with olive oil and blanketed in cherry tomatoes, fresh mozzarella and basil. The ovens here are not wood-fired and cannot put forth the famous Neapolitan speckled crust, but they do warm the tomatoes to the point that they pop and soften the mozzarella so that it becomes a luxurious canvas. It won't replace the original, but it offers a nice homage. In addition to classic red-sauce pizzas, Anthony's offers a handful of "white" pies, also based on recipes from Gianino's grandmother. Garlic and fontina cheese are folded into heavy cream, forming a velvety sauce that serves as an ideal base for the "Prosciutto and Arugula Bianca." In addition to the white sauce, dollops of fresh ricotta cheese sit atop the crust; they soften and infuse the fontina and heavy cream, forming an even more decadent glaze. Cherry tomatoes are placed on top before the pizza goes into the oven; thin slices of prosciutto the color of rose petals and arugula dressed in olive oil are added when it comes out. Thank you, Anthony's Italian Eats, for not destroying this delicate meat in the oven. 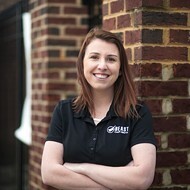 Chef and general manager Tessa LaPlant. I'd say this is the restaurant's best pizza, but I was so taken by its simpler version, the "Pizza Bianca," that I have to give it top honors instead. Here, there are no toppings — just crust, white sauce, some basil and a few chile flakes for heat — but the simplicity is dazzling. It's like a pizza version of garlic cheese bread, if garlic cheese bread were served at the most elegant of restaurants. You see the mastery of Grandma's cooking when it stands on its own and shines as brightly as it does in this magnificent sauce. The "Pizza Bianca" is so haunting you won't want anything to follow it — except, yes, the cannoli. Crispy shells, fresh from the Hill, are stuffed in-house with sweetened ricotta, and pistachios are added to the edges. Though Anthony's must share credit with the bakery that makes the shells, this still gets my designation as the best cannoli in town. The shell is crisp, flaky and has an almost savory nutty flavor to it, and the filling is cloud-like and bright. It's a terrific version of this classic dessert. 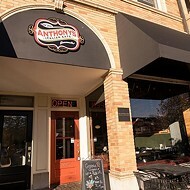 Anthony’s Italian Eats offers patio seating in warm weather and blankets for colder days. You can't help but think of Gianino's grandmother stuffing those shells for Sunday supper while her hungry grandson and his friend stand ready to devour every morsel. As with those cannoli — and those meatballs, and that white sauce — her presence is felt everywhere at Anthony's Italian Eats. The restaurant may be Gianino's namesake, but this is Grandma's place at heart.